Timothy Young has had a very creative career. Aside from being an author/illustrator, he has been an animator, sculptor, toy designer, and art director. He has worked on fun and exciting projects like Pee-Wee’s Playhouse, Jim Henson Presents and many others. 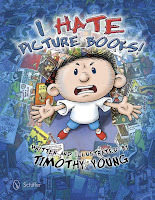 His latest book, I HATE PICTURE BOOKS! (Schiffer 2013), has been getting great reviews, especially amongst teachers and librarians. He really enjoy's school visits where he gets to read his books and demonstrate drawing to students. 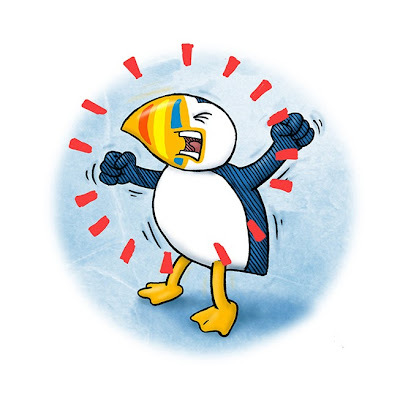 Tim’s dot is a sneak-peek at the main character from his next book, THE VERY ANGRY PUFFIN, which will be released in summer 2014. Why is the puffin angry? You’ll just have to wait and see. Speaking of round things like dots, Tim is also the creator of a line of characters called HEDZZ™. 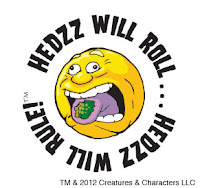 The first HEDZZ™ toys will be in stores this coming spring. They’re wacky ball-shaped guys that include SEAFUDD, who likes to show off what he’s eating, TREXX, who has a pretty toothy grin and UNDDAWHERE, who has trouble dressing himself. You can see more of Tim’s creativity and find information about his books, toys and artwork at his website. 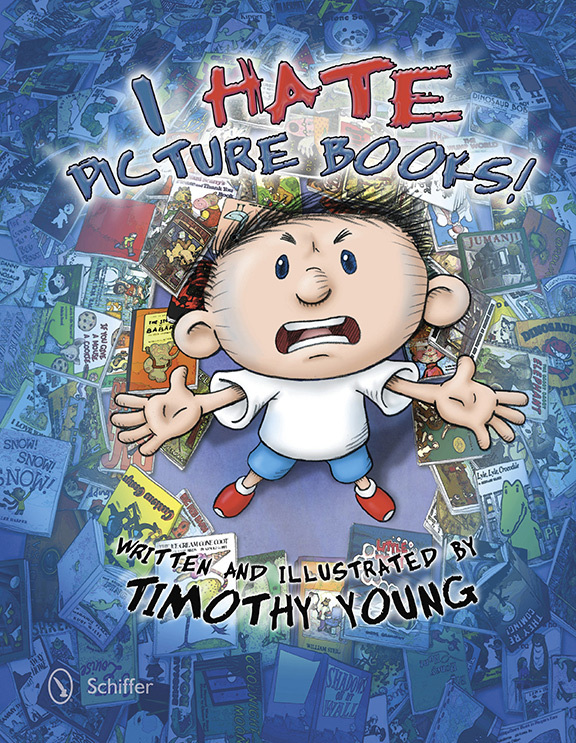 Here is the book trailer for "I Hate Picture Books!"